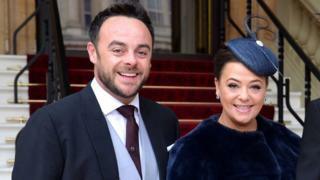 TV presenter Ant McPartlin and his estranged wife Lisa Armstrong have been granted a divorce. 42-year-old McPartlin confirmed the pair were splitting in January after eleven years of marriage. The couple met in 1990 on a roadshow in Newcastle, when they were both aspiring popstars. Judge Alun Jenkins granted the couple a decree nisi in under 30 seconds at the court. Last year McPartlin went into rehab after struggling with a painkiller addiction that stemmed from a knee operation in 2015. He has also had problems with alcohol and was banned from driving for 20 months in April after being caught more than twice over the legal limit. Following the incident, the presenter, who has worked alongside Declan Donnelly for nearly 25 years, announced he was reducing his TV commitments. It was confirmed earlier this year that he would not present the next series of I’m a Celebrity… Get Me Out of Here! and would instead be replaced by Holly Willoughby. Donnelly also presented a number of episodes of Saturday Night Takeaway without McPartlin in April after his drink-driving conviction. Despite stepping out of the spotlight, McPartlin has still been nominated for an award at the National Television Awards. In the longlist, released on Monday, Ant and Dec were named in the TV Presenter and the Bruce Forsyth Entertainment Award categories.